Animated GIFs are known to be the informal lingo of the web. And, you know why. Whether it is social medium like Facebook (even WhatsApp supports it) or blogs like dotTech, these are one of the most the desired forms of virtual interaction; however, unless you generate GIFs on your own, your personal point of view may not be able to be expressed without sourcing the picture-perfect live graphics. Even though there are other ways (click here  or here ) to create an animated GIF in different platforms depending on what you are trying to accomplish, LICEcap  will let you create animated GIFs using Windows, Linux or OS X by recording anything you do on your desktop screen; oh yeah, in a jiffy. LICEcap is basically a free unfussy cross-platform screen recorder to capture your desktop activity in the animated GIF format. LICEcap is an intuitive but quite flexible user-friendly application that is designed to be lightweight and function with high performance. This GIF recorder is such a bare-bones program that may confound you when you open the utility up as you will only find nominal information related to the area that you are going to record; namely, ‘Max FPS’ (frames per second) of the GIF output, ‘Size’ (its length and width in pixels), and needless to say, the ‘Record’ button. LICEcap can capture a defined area of your desktop, and save it directly to .gif or .lcf. LICEcap supports its own native lossless .lcf file format, which allows for higher compression ratios than .gif, higher quality (more than 256 colors per frame), and more accurate timestamping. If you record to .lcf, you can playback the .lcf files within REAPER  (an advanced multi-track audio, MIDI and video production and recording environment for Windows and OS X; a shareware from the same developer), and/or use it to convert to .gif or a video format. Oh well, even for the animated GIF viewing, you will require to open it in a standard free web browser like Google Chrome or using an image viewing free program like IrfanView ; thanks to Microsoft’s decision (for whatever the reasons are) not to support an ‘animated’ GIF in built-in “Windows Photo Viewer” starting Windows 7 (or even Vista?). Click-n-drag of the edges of the window to make precise tunings to the slice of your display being recorded works; alternatively, you may use the ‘Size’ fields. You click Record to save it to the folder of your choice with a number of predefined options. When LICEcap records, you can either click Stop to end your GIF recording; or click Pause, and then Insert to add text frames. It does not make sense to add a text that vanishes before anyone can read it; therefore, it may be worth fiddling with how long your text appears for by tweaking the ‘Duration’ field; else, you may be taken on by trolls if your GIF goes online. If you want to run it from a removable USB device without installation (i.e., portable; stealth is yes), download the installer, and extract licecap.exe to a folder of your choice. 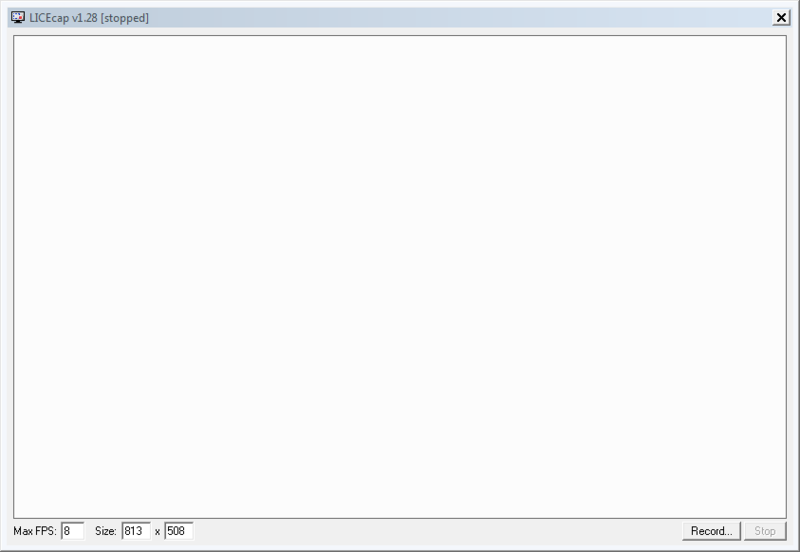 In this folder, create an empty text file by opening a “Notepad” window, and clicking Save As licecap.ini (change .txt to .ini). Launch licecap.exe. I have tested LICEcap in Windows 7 Professional 64-bit. Undeniably, LICEcap doesn’t offer much beyond the most rudimentary GIF making functionality, but if you are ready to create animated GIFs from scratch without much fuss, its honest-to-goodness utility and shipshape interface are seamless for you in quest of simplicity. Do you think this article is going to benefit you? Wanna raise your hand for questions? Or, do you have tips for the dotTechies on how to capture the coolest GIFs? Before you get into the altercation on whether to pronounce GIF with a hard-G or a soft-G, feel free to introduce yourself to the comments section below.